Cleo Cole Elliott - Bio and Personal Life, Age, Net Worth, Is She Married? Cleo Cole Elliott – Bio and Personal Life, Age, Net Worth, Is She Married? 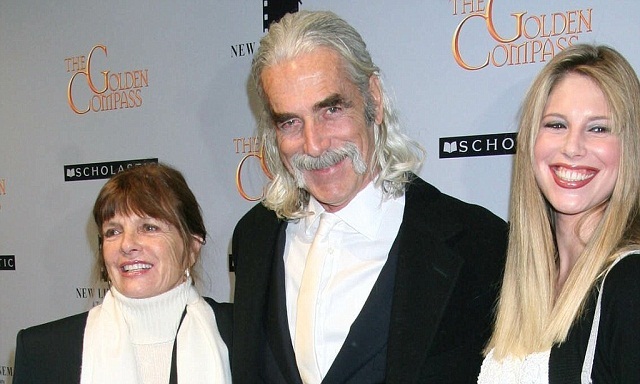 The musician, Cleo Cole Elliott is widely known as the famous American celebrities, Sam Elliott and Katharine Ross’ only child. As a musician, she has moved ahead to release her first album titled ‘No More Lies’. She has also carved out a career in modeling and has featured on notable journals like Malibu Times Magazine. Read on as we take a glimpse into the American model’s career, relationship and the controversies surrounding her life. The talented musician was born in Malibu, California on September 17, 1984, into the family of Sam Elliott and Katherine Ross. Cleo has no sibling/s as she is the only child of her parents. Her father is a veteran Hollywood actor and filmmaker while her mother is a film and theatre actress. Her parents are revered as one of the top celebrities in the entertainment industry. Regarding her education, Cleo is an alumna of Colin McEwan High School. She later graduated from the Joanne Barron/D.W. Brown Acting Studio in 2006. According to the American musician, she is a proud fellow of the American Society of Composers, Authors, and Publishers. At a young age, Cleo Cole Elliott started showing interest in music. A few years later, the renowned model kicked off her music lessons with a great emphasis on Italian opera. She also revealed that her parents and grandparents have always been of great support to her right from the get-go of her music career. The American model, however, released her debut album titled ‘No More Lies’ in 2009. After putting up so much effort and energy in releasing the album, it is quite unfortunate that it didn’t get much public recognition, as the renown model failed to realize substantial fortune from the sales. Cleo Cole Elliott stated that throughout her music career, she preferred performing her songs to recording them. She went on to name Jim Hendrix, Pink Floyd, Guns ‘n’ Roses, Sheryl Crow as well as Fiona Apple as those who have immensely influenced her musical career. In addition to her music career, in 2003, Cleo began a career in modeling when she made an appearance for SEXYHAIR during the brand’s hair styling show. Furthermore, she clinched another modeling job as she worked for Malibu Times Magazine. On the other hand about her personality, Katherine Ross (Cleo Cole Elliott’s mum) revealed that her daughter has been battling with temper issues. As a result of this, Cleo has emotionally abused her mother on several occasions since her young age. Her mother further gave an insight into an incident where the Cleo Cole had made an attempt on her life with a pair of scissors. The controversy surrounding Cleo’s temper issue was brought to light on March 2nd, 2011, when she threatened to kill her mother. It was unknown to Katharine Ross that Cleo was determined to carry out her threat until she tried to stab her with a pair of scissors. This incident prompted Katherine to file a restriction order against Cleo on March 30, 2011. Cleo, however, has not disclosed what provoked her to take such actions. Surprisingly, things between Cleo and her mother has taken a positive turnaround presently. This was evident when Cleo attended the movie premiere of The Hero in June 2017 in the company of her parents. She followed it up by wishing her parents a happy marriage anniversary on her Instagram account in the following year. Despite being brought up in a glamorous lifestyle, thanks to the enormous wealth of her parents, Cleo Cole Elliott has been able to amass huge wealth for herself through her music and modeling careers. The famous model is estimated to have a financial value of about $1 million. Her father, on the other hand, is said to be worth around $10 million while her mother’s net worth is penned at $5 million. Is Cleo Cole Elliot Married? The beautiful model is believed to be yet unmarried. Meanwhile, she seems to be in a romantic relationship with Randy Christopher following their picture uploads on their various Instagram accounts. Although she uploaded a kiss picture with her boyfriend on the social media, Cleo Cole Elliott is yet to disclose any information regarding the status of their relationship.